Buy latest embroidery designs for sarees at best prices. 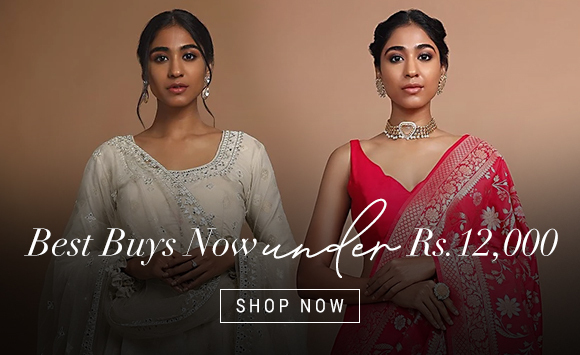 Shop for designer embroidered sarees online for any occasions at Kalkifashion. Saree has been gaining popularity because it is now a glamorous choice for both evening and occasion wear, even casual for that matter. The tricky part is understanding which fabric is ideal for which time and what body type. - Silk: Revered for its natural shimmer and soft texture, this is one of the most expensive saree fabrics. Silk is generally preferred for festive and occasional wear. Silk is also sub-categorized into types like Tussar, Raw, Paithani, Kanchipuram etc. - Georgette: Originally made from silk, this fabric is made from twisted yarns and thus is extremely light-weight in nature. It is ideal for casual or evening wear. - Chiffon: It is a sheer fabric with some stretch and slightly rough feel. Sarees made from this material are mostly worn casually unless they are paired with heavy blouses. - Crepe: Woven from natural and man-made fibers, crepe fetches a royal look and depending on the design on the saree can be worn casually or on occasions. - Cotton: Reputed as natural, breathable and one of the comfiest fabrics, sarees made from this material are preferred for daily use. Each fabric is home to countless designs. Again, depending on the purpose of your outfit, you can choose the print, pattern and design. 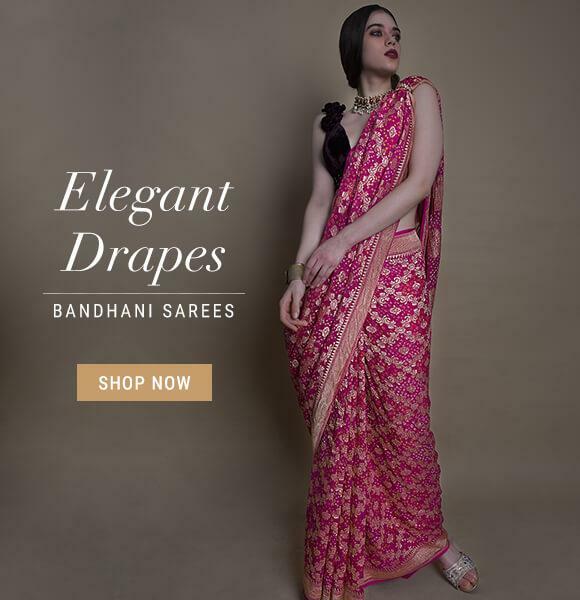 - Embroidered sarees: This is one of the most beloved saree designs as who can say no to beautiful drapes on a festive day? - Jacquard: Jacquard comes in various designs that are woven onto the saree. Though the texture is like embroidered sarees, the base saree material is not. - Floral/paisley prints: Prints rule the georgette sarees and the world of ethnic wear. From designer embroidered sarees to the trendiest print, the house of Kalki is home to a plethora of options and offers that you can explore. Planning to get your hands-on Indian saree styles? Spree with the best!